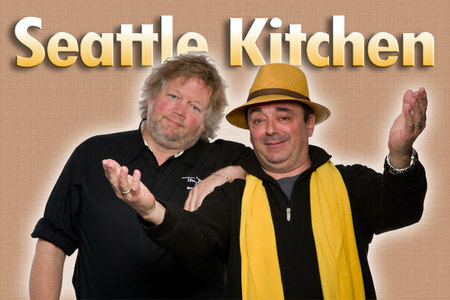 Seattle has a great new radio food show starring two local food scene celebrities. Seattle Kitchen features Tom Douglas and Thierry Rautureau. Both are well known restaurant owners and James Beard Award winners. They review Seattle restaurants, and offer recipes with a weekly ingredient. They also take listeners' questions on the air. Listen to them on 97.3 KIRO FM on Sundays from 10:00am to 11:00am. You can also download their podcast from the iTunes store.